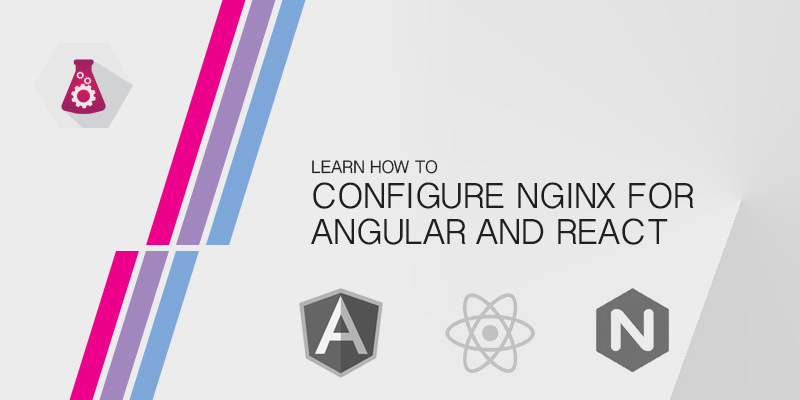 This tutorial will show you how to configure NGINX for your Angular or React applications. Using the try_files directive we can instruct NGINX to rewrite requests to be forwarded to a target file. The directive can be added in the server or location block of your NGINX configuration. If you are not a seasoned server administrator you may not know where NGINX stores its configurations. Fear not, for we will show you where it can be found on each major Linux distribution. These are the locations of the default server configurations. NGINX supports hosting multiple sites and also splitting you configuration into several parts. Additional configuration files can be found in the /etc/nginx/conf.d directory. Here the locations of the default configuration files. Use this method to catch all URIs and forward them to index.html. You may only want a specific URI to handle routing. Rather than catching all requests, we can narrow our rewrites to specific URI. The following example shows how to rewrite URLs for only requests that have a URI that starts with /profiles. This is useful if your Angular or React app is only used for this particular URI. Another example is if you have multiple React or Angular applications being hosted by the same domain. By specifying a URI for each you can separate traffic. The above examples only showed the directive used to create a rewrite. The following is for those who want a little more context.